On occasion, the might of fast talking, playing loose with the rules (and the law) doesn't help a situation. In this instance, MSV is exclusively reporting Carmelo Garcia will not be kept on for another two year Assembly term under the powerful NJ State Senator Brian Stack. The vastly ethically challenged and controversial Garcia is out it says here and Brian Stack will be happy to punch the eject button. 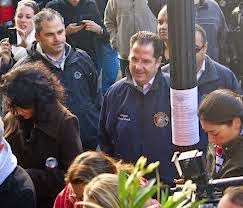 Almost immediately after his selection two years ago, the Hudson state senator and Union City mayor began getting calls from Hoboken residents unhappy to see Garcia on his line. Stack reportedly said it was a mistake and nothing since has changed his mind. They're out! Both Beth Mason and Carmelo Garcia will not be selected on State Senator Brian Stack's line for the 2015 Assembly ticket. Independent sources point to a yet unknown Hispanic woman selected with input from Hoboken Mayor Dawn Zimmer. Quite the contrary, Stack is looking for a Hispanic woman to complement his other Assembly choice, Raj Mukerji who currently sits on the important NJ Budget committee and has gotten high marks for his intelligence and can expect another two year Assembly term on the Brian Stack line. Carmelo "The Wire" Garcia on the other hand burned the bridge almost as fast as it was laid. In the HHA, he is rumored to have described Brian Stack as his lapdog who would come running when he called. Garcia's controversial "leadership" at the HHA maintained support among his political class of followers and "spokespeople" who parroted his party line wherever they could but it meant nothing when his contract was terminated last August after a long line of obstruction to the HHA Board of Commissioners. In one notorious incident, Garcia attempted to subvert a legal "no" vote and push through multiple failures to see a contract approved for Charles Daglian. The failure to see that legal contract renewed came up more than a half-dozen times, an obvious continuous insubordinate action against his bosses on the HHA board. Since his contract termination, Garcia reportedly was rumored seen on different occasions less than stable in the neighborhood of the HHA at one meeting last year. He was also spotted outside the Frank "Pupie" Raia HQ on Jefferson Street last fall behaving less than coherent. Federal investigations are ongoing within the Hoboken Housing Authority and numerous rumors have been circulating. Some of them emanate from Mister Carmelo's own crew. One stated if he survived the Feds' investigation until March he would be back on the line (under Stack). Another source still contends sources close to Stack state Garcia will be back on the line. MSV does not believe any of it and has continuously reported many deem Carmelo Garcia -"Dead Man Walking" since last November. With Garcia on the outs, another scramble for the upcoming two year seat has been postured over months. Councilwoman Beth Mason, she of equally shoddy ethics as Garcia, reportedly lost out in a bidding war the last round to Mister Carmelo and was hoping to position herself again if not as a worthy Assembly candidate, at least by extending a tempting family checkbook worthy of buying the office. FAIL! So sayonara Beth Mason, another strike out! Mayor Brian Stack who is believed still holding a campaign bill of over $600,000 could certainly use some gelt to retire that debt but he's opted out of creating an equal or worse headache after Mister Carmelo. So too on the "no" list from Hoboken is Frank "Pupie" Raia. His interest this round is likely far less then last since he's been focused lately on some health concerns. Raia who is not solely the dark Old Guard figure election antics suggests has unlike Mason a real voter base and more importantly respect for being a good guy doing real good in the community quietly, along with his family. For that reason alone, Da Horsey wishes Raia better health and better days and urges others to pray for same. Next on the "no" list is current Council President Ravi Bhalla. Some political observers (and columnists) were confused with his recent fundraiser. Bhalla however didn't appear to be looking to make a move for the Assembly position and certainly couldn't count on any love from Stack who recalled he bucked the system running off the line previously also causing much anger when his pick of Garcia was (temporarily) bumped off the line by the Honorable Assignment Judge Peter Bariso for reasons connected to the Hatch Act. The pro reform group named in the lawsuit are thought by some to have done so to see Bhalla advanced. Stack is not likely to have forgotten. No, make that we're sure he hasn't. MSV's independent sources believes the woman chosen may be named as soon as this week. Keep an eye out as that story could break any day now. 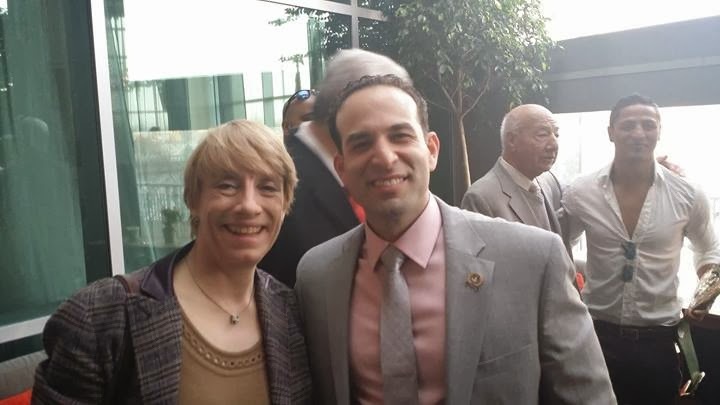 Honorable mention on the "no" Assembly seat from Hoboken banner; Councilman Michael Russo who has made impressive strides in rebranding his image as a blustery and fiery Old Guard anti-Zimmer voice at Council meetings. He'd love to make the move up the election ladder (and double his pay from City Council) but he's the wrong ethnic background and tied to a Third Ward universe. One day he'll vie again for mayor. How he plans to overcome some of his FBI surveillance video obstacles will be a fascinating election case study. Both Russo and Timmy Occhipinti appear to have finally figured out, you can disagree without being disagreeable and bring negative attention on the council proceedings. In Hoboken, we call this progress. contemplating selecting a Hispanic woman for his Assembly line. That choice for the 33rd Assembly seat may surface this week. Talking Ed Note: The Hudson Reporter continues to push its narrative Mayor Dawn Zimmer is resigning but now is buying themselves almost a year saying it could come in September. No reason to date has been offered after weeks of the unsubstantiated rumor being ridiculed here. After a City Hall source laughed off the vapidity of the claim published in a January 21 column, one suspect weekend commenter on the Hudson Reporter website is practically demanding (or is it begging) the mayor write a letter to the pro Old Guard rag and deny it. The mayor is not likely to capitulate to the "anonymous" Hudson Reporter editors who are possibly making the demand on their website under a screen name not their own. As if. Caren and Gene, does this meet any acceptable journalistic norms? And still hiding from your email after how many years? Yes, you are being called out again - by a Horse. Chew on this story and try to prove Da Horsey wrong. 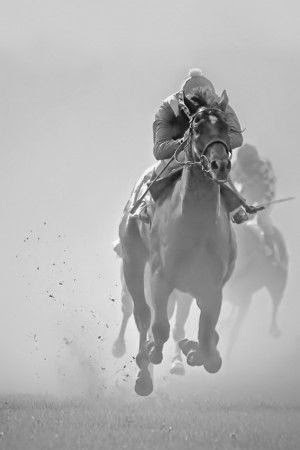 In the meantime, eat my dust!